OTTAWA — The Canadian Real Estate Association raised its outlook Monday for homes sales this year as it reported a 11.1% jump in August sales compared with a year ago. The industry organization said it now expects sales of 449,900 homes this year compared with a June forecast of 443,400. CREA reported 454,573 sales in 2012. The association said sales across the country have improved more quickly than it expected likely due “the transient influence” of buyers with pre-approved financing buying before their lower pre-approved rates expire. The association said B.C. accounted for nearly half of the increase to the 2013 forecast, while the sales outlook for across the Prairies was also raised. The national average home price is forecast to increase 3.6% to $376,300 this year, driven by gains on the Prairies and in Newfoundland and Labrador. Price gains in B.C. and Ontario are expected to come in just below the national average while Quebec and New Brunswick are forecast to gain less than one per cent. Prices in Nova Scotia are expected to slip less than one per cent. “The environment for home prices in Quebec, New Brunswick, and Nova Scotia will likely be shaped by ample inventory levels relative to sales,” CREA chief economist Gregory Klump said in a statement. Sales in 2014 are expected to total 465,600. For August, home sales totalled 40,350, from 36,316 a year ago, when the federal government tightened mortgage lending rules and sent a chill through the housing market. However, since then, Canadian home sales have bounced back helped by interest rates, which until recently have remained near record lows. “Recent increases to fixed mortgage rates caused sales to be pulled forward as buyers with pre-approved financing at lower rates jumped into the market sooner than they might have otherwise,” Klump said. The national average price for a home sold in August was $378,369, up 8.1% from a year ago. If the greater Toronto and Vancouver regions are excluded from the national average price calculation, the year-over-year increase is 4.8%. 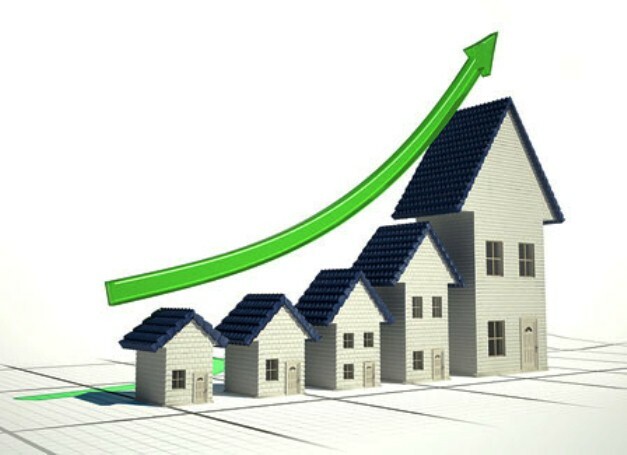 CREA said 325,180 homes had been sold by the end of August, 2.9% below the pace set in the first eight months of 2012. The national sales-to-new listings ratio edged up to 54.6% for August compared with 54.1% in July.